Magneti Marelli makes sophisticated instrument clusters capable of integrating a colour display that, in some cases, can also be reconfigurable, such as the one fitted on the Ferrari Enzo. Other solutions feature instrument clusters that can carry out the gateway function. 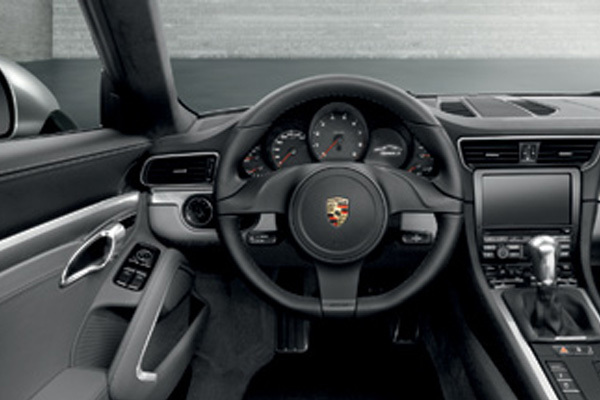 This type of instrument clusters can display additional information such as navigation pictograms, TPMS-related information and various kinds of warnings. Specifically, reconfigurable instrument clusters are fully digital and developed on a platform that allows high personalization options and, if necessary, the reutilization of HW and SW components. Reconfigurable instrument clusters thus make it possible to follow the various reading needs and information to be displayed depending on the specific moment. Moreover, Magneti Marelli has developed specific tools for HMI customization that make graphics easily displayed and modifiable, offering designers greater freedom to work on the look&feel during the development phase as well as after the vehicle is launched on the market.